Often one of the best things about independent movie-houses is the comfort in knowing its staff members have a legitimate interest in film. At Brewvies Cinema Pub (677 S. 200 West), you can hold a conversation with the person taking your ticket and enjoy insightful, often amusing reviews of featured films on the theater’s hotline. Brewvies is a worthwhile joint to catch a flick—and not only because it’s the only theater in Utah to serve alcohol—the theater got a full liquor license in late 2009, but previously served beer—and above-average pub fare to enjoy during the show. 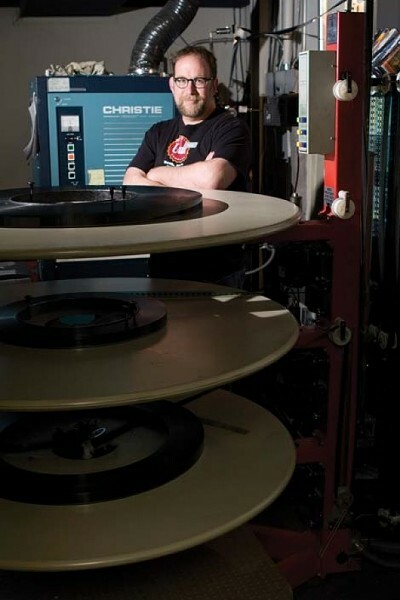 It also hosts Utah’s best in-house movie critic, Scotty Farley. Call Brewvies to see what’s playing and you’ll get an earful of Farley announcing showtimes and spouting off genuine, off-the-cuff mini reviews. Farley knows film. He honed his movie phone skills at the Tower Theatre, where he developed a following for his refreshing messages, friendly demeanor and film expertise. Farley doesn’t seem to mind the fandom. “Some lady let me know that she will dial the movie phone and talk with [the recording] as if it were her boyfriend,” he says. Many Salt Lake City visitors choose to stop by Brewvies during Farley’s shifts to put a face to the voice and talk film. Farley has worked at Brewvies since its opening in 1997, and handles everything at the theatre from bartending to fixing projector snafus. Try to catch him behind the bar for cinema shop talk. Some of his favorite flicks are 2001: A Space Odyssey, The Informants and he highly recommends In the Mood for Love, for those who haven’t watched it. As for other movie-houses where you can catch an indie flick selected by those passionate about film, Farley is a fan of Broadway Center Cinema (111 E. 300 South) as an art house. Visit the Tower Theatre (876 E. 900 South) for a classic, independent theatre feel and screenings of cult classics at midnight every weekend.